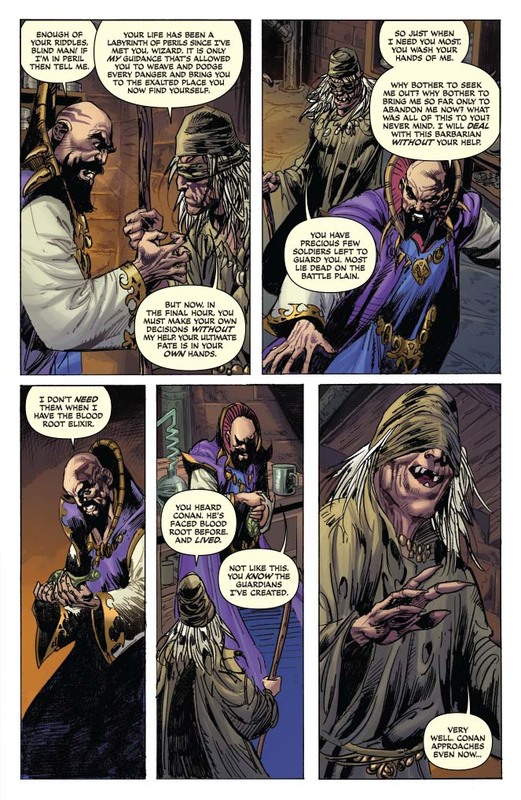 For years, the old blind Seer has helped the wizard Kal'Ang climb to power, but just when Kal'Ang needs him the most, the Seer tells the wizard he must now deal with a final threat on his own. What final threat? 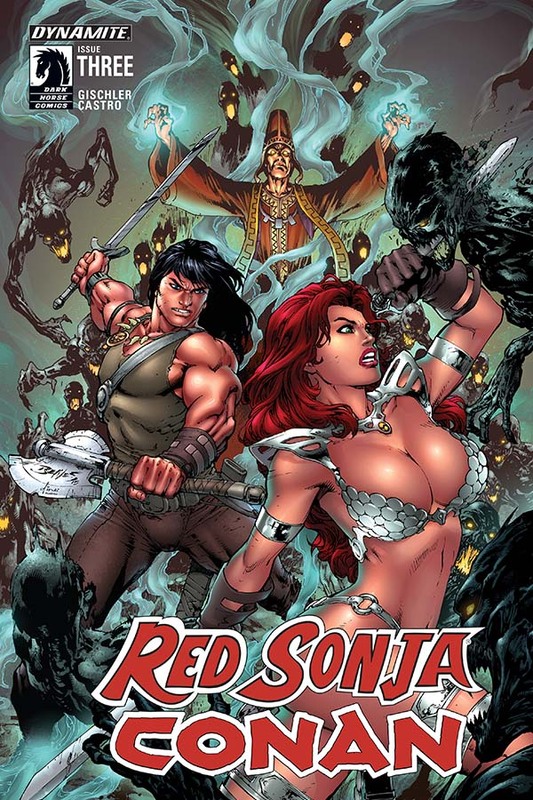 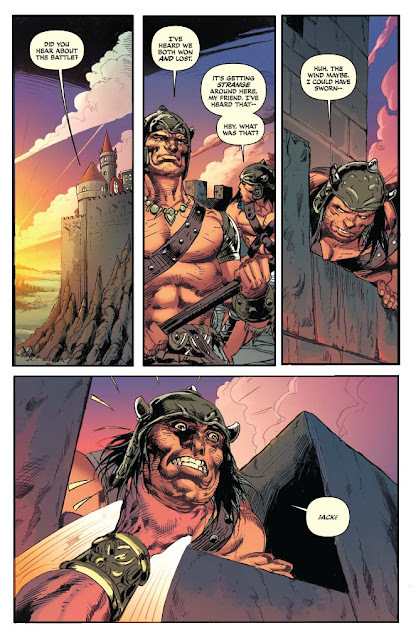 The wrath of Conan and Red Sonja of course. 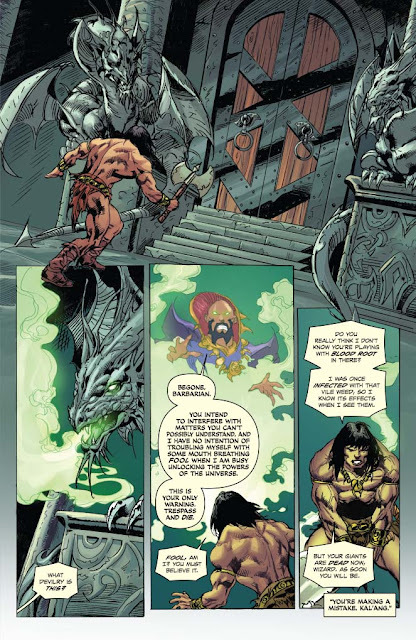 Recognizing that the scourge of blood root has risen again, the Cimmerian and the red haired hellion go after Kal'Ang with a vengeance. 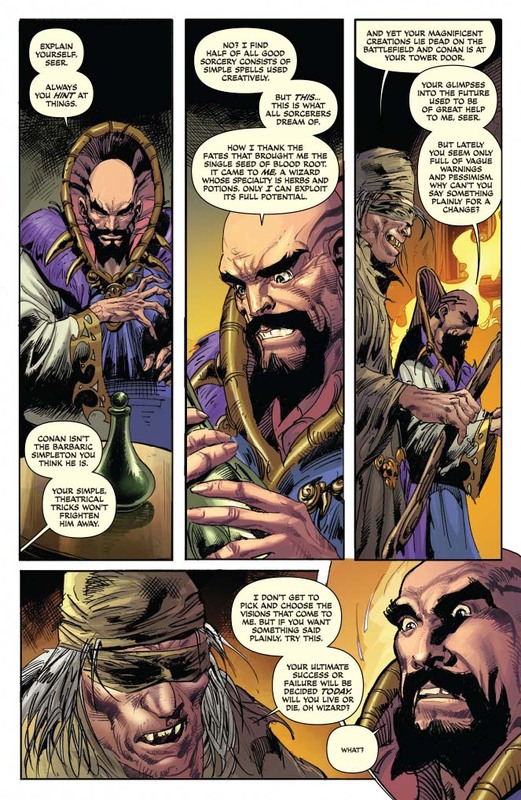 But what of the Seer and his secret motivations?